What’s new in the Add Books screen? Single Search Box: Just one box for search (e.g. like Google or Amazon). No more separate Author and Title boxes. Just enter (part of) the author’s name and (part of) the title and you will get the best matching results. 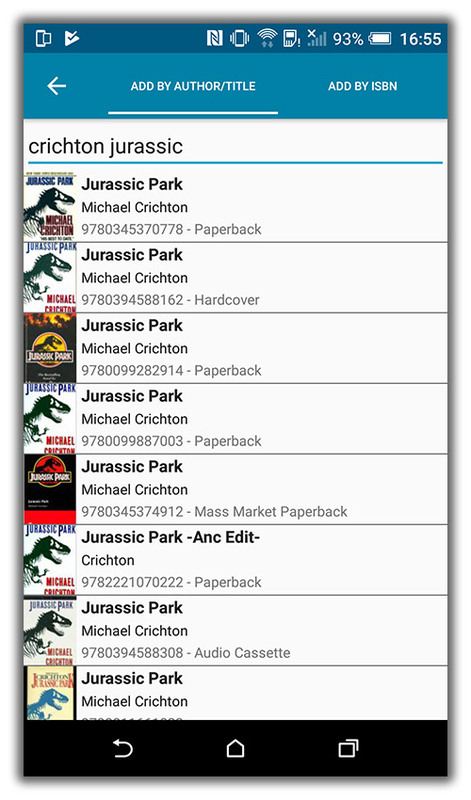 (see the screen shot below with “crichton jurassic” results”). Custom written plots could be overwritten with the default plot when books were updated from the online CLZ Core for Books database. 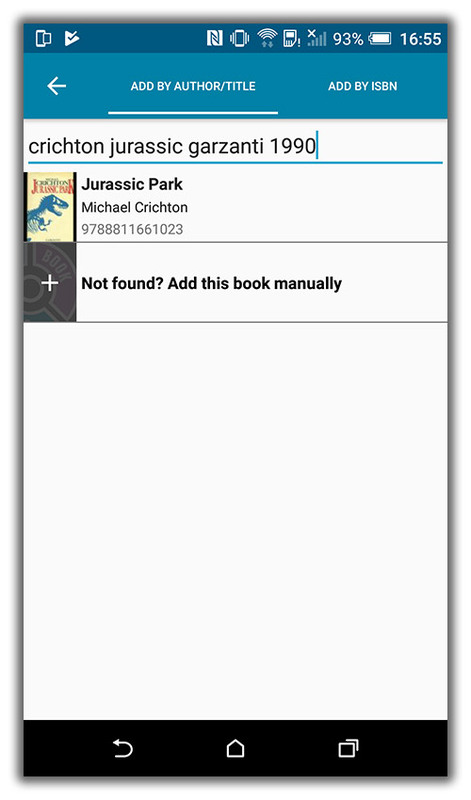 The app did not open the details page when a search result was selected in the quick search box while the [All Books] folder was active in phone mode.